Sonni Hönscheid takes her inspiration from the ocean – and gives it back. Her signature artistic style now has a new home – the decks of the Starboard Tikhine line. It’s the brand-new women's specific board range from Starboard, featuring Sonni’s inspired Sun and Wave designs. There’s also the Dot Art Design by acclaimed graphic designer David Carson – whom Newsweek Magazine is said to have ‘changed the public face of graphic design’. 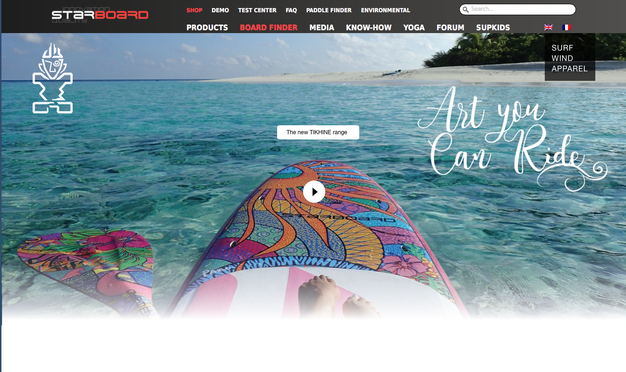 Are they both now changing the face of paddle boarding?